Well the local guy wanted some authentic style Chicago food. Is there any place in Orlando that serves up old Chicago favorites? The answer is Yes! Our city has come through again. The local restaurant is called Italian Beefstro. 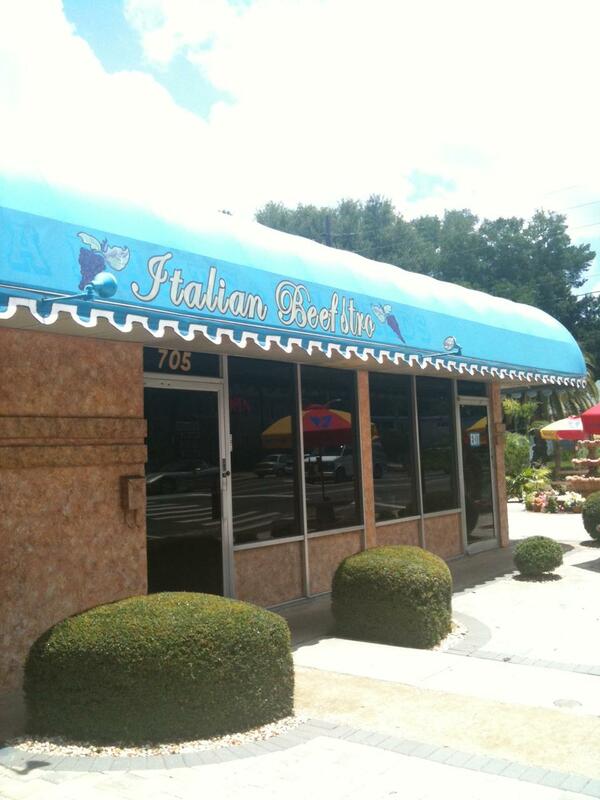 This little gem is located on Colonial Dr just West of I4, not far from the heart of downtown. Their specialty is an Italian Beef sandwich, this is a true Chicago delicacy. 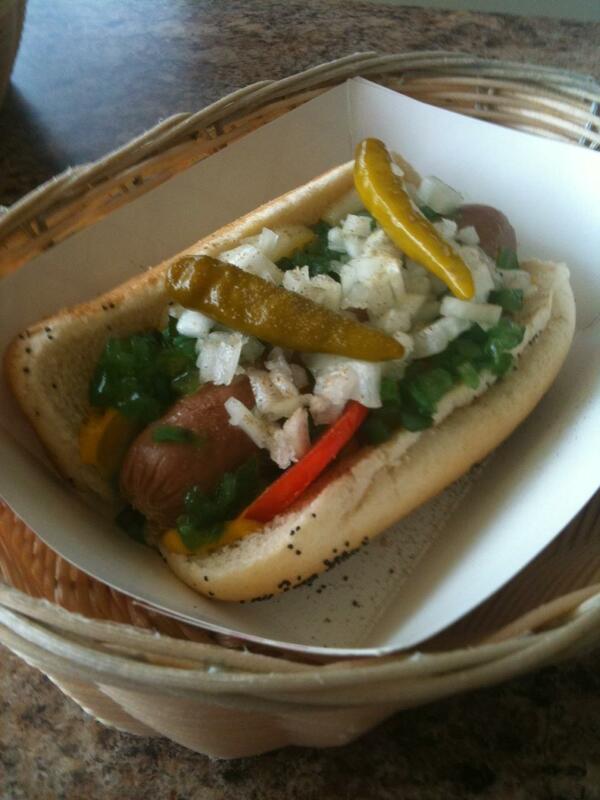 They also serve meatball subs, sausage subs, Italian subs, and Chicago style hot dogs just to name a few. An Italian beef sandwich is similar to a French dip sandwich however, an Italian beef sandwich is thinly sliced roast beef with sautéed green peppers placed on crusty French bread, then the roll itself with the meat in it is dunked into the juices from which the roast beef was cooked in. 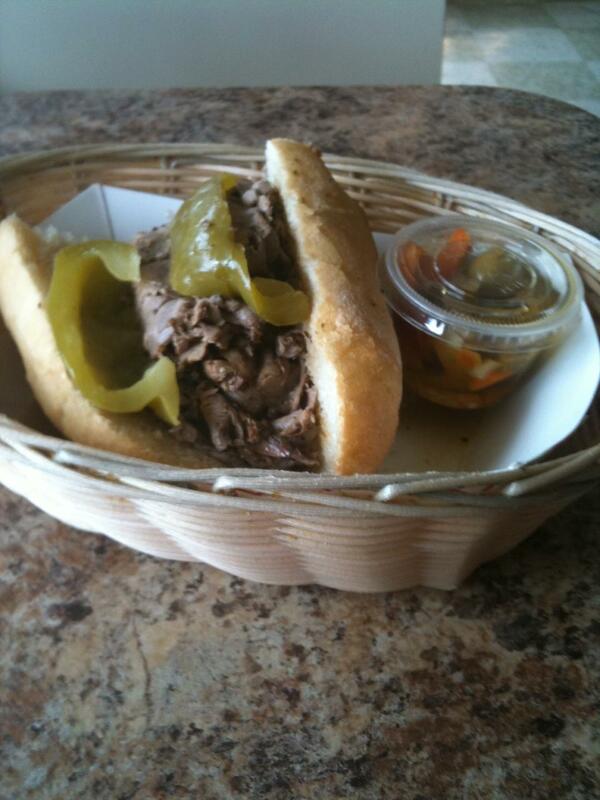 On one visit I had the traditional Italian beef sandwich $4.99. This is their signature sandwich at Italian Beefstro, make no mistake about it. The Italian Beef was thinly sliced, seasoned deliciously, with fresh sautéed green peppers on a fresh French loaf of bread. If you want it dunked in the juices, its 30 cents extra, money well spent. You do have the option to have the juices on the side and you can pour it on your sandwich to your liking. So this way you determine how sloppy you want it. I wanted to kick my sandwich up a notch like they do in Chicago. So I added a side of Giardiniera, 30 cents. Giardiniera is a spicy picked condiment of carrots, hot peppers, bell peppers, celery, cauliflower chopped up in an oil and vinegar base. Then you pour the Giardiniera over the sandwich. This special condiment really spices up the sandwich to another level. When I was eating this Italian beef sandwich I thought I was in Wrigleyville. The Italian Beef sandwich at Italian Beefsto is that good. On another visit I tried the Italian sub $4.99. It came with Salami, Capicola, Ham, Provolone, Lettuce, Tomatoes, Onions, Pickles, Olives, Sweet Peppers, Cherry Peppers, Oil & Vinegar, Salt & Pepper and Oregano. This is quite a sandwich. After you eat this authentic style Chicago style Italian Sub, you will never eat a BMT at Subway again.